Wage Day Advance is there to help those in a short-term financial problem, the UK lender is designed to take the stress away from money problems you might have, here’s everything you need to know about them, like how much money you can lend, the repayment terms and how to page Wage Day Advance early. The Yorkshire-based company offer a variety of loans between £80 and £1,000, which can be paid back over 1 to 6 months. 3 Are you eligible for a loan with Wage Day Advance? 4 How much can you borrow? 5 How long does it take to pay back? 11 What are the charges for a Wage Day Advance loan? It’s easy and quick to borrow money from Wage Day Advance, simply use their online application form. All you have to do is choose how much you would like to borrow and over how long, before completing the online form. They will then check that the loan is affordable to you, and their lending decision is based on a combination of your circumstances and, for new customers, a full credit check. Wage Day Advance pride themselves on being a responsible lender, so sometimes it might not be possible to complete all of this online. In this instance, they will ask you to supply further documentation before they make a final decision on whether to lend money to you or not. After the loan has been approved, it could take as little as 1 hour to be transferred into your bank account. If you complete your loan application overnight, this can take a little longer, but as you complete the application form, this is all clearly explained to you. There are two different loans available through Wage Day Advance, there was three but the Flex Advance Loan has since been discontinued. The two available are the WageDayAdvance Loan and the Advance Plus Loan. Are you eligible for a loan with Wage Day Advance? The eligibility for any loan product is subject to a number of checks. This will include a creditworthiness check based on the information you provide on the application form for Wage Day Advance as well as a credit check for new customers. There will also be an affordability assessment done to ensure that the loan amount is the right option for you. As Wage Day Advance are responsible lenders this is done to ensure you can afford to pay back what is loaned to you, without the distress of getting yourself into unnecessary debt. Wage Day Advance will only lend to you if they are satisfied that you can afford the load offered, and they ask that you ensure you can repay the loan in full and on time. They strongly advise that you don’t sign up for the agreement of the loan if you know that you are unable to repay the loan in accordance with its terms. In some cases it will not be possible to make a decision on whether or not you are eligible for a loan from the information that is provided in your online application. In these circumstances they may ask you to provide electronically additional documentation including a copy of your bank statement to process the application of the short term loan. If you’re an existing customer of Wage Day Advance you can borrow up to £1,000, whereas new customers can borrow between £80 and £500. The length of time it takes to pay you loan back depends completely on you, you make the choice whether it pay it back in 1, 2, 3, 4, 5, or 6 payments. If you would like to reduce the final payment amount, you can do so by making additional repayments early. You can do this at any point during the term of the loan, and this could save you money by reducing the interest that you pay. For a WageDayAdvance loan, there is a minimum loan term of 21 days. It’s important to note that if your next pay date is in less than 21 days’ time from when you take your loan, your first repayment date will be made on your following pay date. Before you sign your agreement for the loan, your repayment dates will be clearly shown in your loan summary. There is an option to repay your loan early, and you can do this by phoning the customer service number on 0843 816 6779. However, it’s important to note that you will pay a minimum of 21 days interest on the loan as this is the minimum loan term, even if you wish to repay it all after just a few days of taking it own. For example, if you choose to settle your loan after just 9 days you will pay the original amount borrowed plus the 21 days of interest. If you decided to settle your loan after 22 days you would only pay the original amount borrowed plus 22 days of interest. To repay your loan, you can make a choice of the best option for you. Choose if you would like to repay by Direct Debit, or set up automatic repayments from your debit card as a continuous payment authority (CPA). The repayment date is set up for your pay date, so you needn’t worry about saving some of your wages to pay back the loan, it will be taken out the same day so you can adjust your budget for the month. However, if you would like to change your repayment method at any time, just call Wage Day Advance at any point on their customer service number, which is 0843 816 6779. If you are in a financial position to make overpayments on your loan you can do this with Wage Day Advance, without there be any charge. Just call their customer service line to make your overpayment with ease. You can do this by calling the following number: 0843 816 6779. Each overpayment will be deducted from your next payment, and if you pay more than this the remainder will come off the final balance of your loan. This will reduce the amount of interest you pay, so it’s a huge benefit if you can afford to do so. It is possible to extend the term of your WageDayAdvance loan if you have borrowed your loan over 1 month. You can apply to defer your loan repayment by a further month by repaying the interest only as you long as you pay the interest due. However, it’s important to note that the option to defer your repayments is at the sole discretion of Wage Day Advance and an affordability assessment. Doing this will increase the cost of your loan. You should also know that you can only defer your loan a maximum of two times. If you borrow your loan over 2 or 3 months, there is no option to defer your repayment. If you face any difficulties paying back your loan, it’s important that you contact Wage Day Advance to talk about your options. The daily interest on the amount you have borrowed through the term of your loan for a WageDayAdvance loan is 0.8%. There is also a one-off default charge of £15 in addition to the daily interest charges for any late repayments. If you take out an Advance Plus loan the daily interest charge on the amount borrowed throughout the term of the loan is 0.79%. There are a variety of reasons you may have taken out the short-term loan with Wage Day Advance, and if you find that you fall behind on your repayments, there are a number of things that you can do for yourself, or with the help of the lender. Simply ignoring the situation won’t help, so be sure to get in contact with them if you do expect not to be able to make your loan payment. Be aware – Log in to your online account to find out exactly what repayments you’ve missed and those repayments that are still due. Take control – Catch up on a part, even a small amount can make a difference, or all of your missed repayments online using your debit card. Get in touch – Call the Wage Day Advance customer service number to tell them about your circumstances and setup a new, affordable, repayment plan. Get to know your new plan – Once you’ve set up your new repayment plan, you can view this, including the dates and amounts through your login area. Make sure you make notes of dates and amounts in your diary so you’re always of aware. 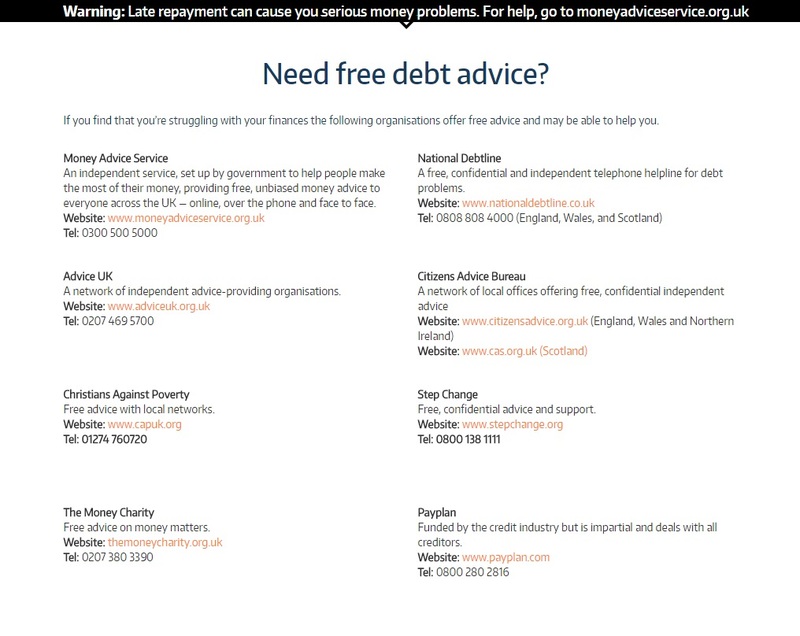 Debt advice – If you’re looking for free, independent debt advice you can do so on the Wage Day Advance website, where it gives you a list of sources you can use. It is possible to cancel your loan application with Wage Day Advance, you have the right to withdraw your loan within 14 days from the date of your loan agreement. If you withdraw from your loan agreement, you will need to repay the amount you borrowed, including any interest that was accrued within the 14 days. It’s important to note that daily interest will continue to be applied to your outstanding balance until it’s paid in full. To cancel your application please call the customer service number on 0843 816 6779. Wage Day Advance was founded in 2004, and currently, employs more than 150 people who are based in Nottingham and Leeds. They are part of the international financial services organisation, CURO Financial Technologies Corp. This organisation provides a variety of cash loans along with other financial services, they currently employ more than 3,000 people across multiple countries, including the United Kingdom, the United States and Canada in more than 300 locations.